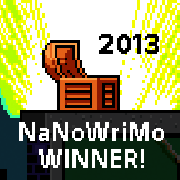 Another NaNoWriMo has finished. I still feel crazy to have gone through with it, but the greater feeling of accomplishment pays off in the end. The resulting book has the working title of Foster, though I’m still brainstorming other options. A mother-daughter drama, the book covers broad themes such as identity, family, and the need to be loved. This story begins in Spokane, Washington, a mid-size city on the border of Idaho. A 15-year-old girl named Angela comes home to find out she and her mother are about to be evicted from their apartment. Then her mother is arrested for drunk driving, and CPS picks up the girl to take her to foster care. Everything in Angela’s life depends on whether or not her mother, Cynthia, can take care of herself and her daughter. Angela tries to be independent and responsible for her own life, feeling forced to grow up early. But despite her façades, she still waits for her mother to grow up too and be the adult for the sake of their family. If Cynthia doesn’t, Angela may spend the last three years before legal adulthood in foster care, bounced from family to family, house to house, until she can live on her own outside of the state’s guardianship. With Halloween over, that means NaNoWriMo season has begun. This is my second year participating, and I’m hoping to start a winning streak. As you might remember from last year, I bent the rules and wrote a nonfiction book of rambling essays rather than a traditional novel with characters and plot. The first week of writing is done, but I still haven’t got into the swing of fiction. Each time I sit down to work on my book … well, let’s say we are not on good speaking terms. I have about half as many words down as I should by this point. And I still need a title. It’s a young adult book about a teenage girl who struggles for independence and control of her life despite living in state foster care. So far, I just call the book “Foster” for short. I grew up knowing both foster and adoptive parents. I saw personally what it meant for the children they would take into their homes. The children had hard lives since birth, suffered abuse in many forms, and felt the pains of abandonment and loneliness. The parents I knew offered shelter, security, and the love of a family, blessings other children take for granted. Like I did. Not every foster care situation is healthy or beneficial for children, but when the parents genuinely love the children who are not their own, that is beauty in my eyes. It calls to my heart because it reminds me that I am adopted too. If you are a Christian, then God has adopted you. He rescued you from abandonment and abuse, bringing you into his loving protection and care. Paul says, “So you have not received a spirit that makes you fearful slaves. Instead, you received God’s Spirit when he adopted you as his own children. Now we call him, ‘Abba, Father'” (Rom. 8:15 NLT). My adoption by God is a more powerful truth to me than knowing he also created me. Adoptive parents struggle with difficulties unique from parents raising biological children. Children in foster care or adoptive homes do not come fresh out of the package. Other adults have already left their marks, even when parents take home a baby girl the day after her teenage mother gave birth to her. In choosing to adopt, parents have to recognize that their new child has been hurt and broken. The longer the child has lived in foster care or in bad family situations, the more apparent the damage from an unstable, unhealthy childhood. Parents with biological children cannot guess the faults of their children. But adoptive parents can see beforehand, and they willingly choose a child who may struggle with ADHD or self-destructive habits or a tendency to violent anger. They see the faults and choose to love anyway. God does the same when he chooses us. He welcomes us into his family, knowing well our every wound and scar. He knows the faults and weaknesses that we try to hide or ignore. He knows every part of us and yet wholly loves us. Paul continues, “For I am convinced that neither death nor life, neither angels nor demons, neither the present nor the future, nor any powers, neither height nor depth, nor anything else in all creation, will be able to separate us from the love of God that is in Christ Jesus our Lord” (Rom. 8:38-39 NIV).